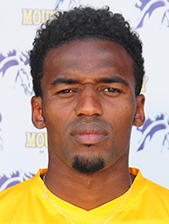 Souleymane Diallo scored a pair of goals Saturday to help the Mount Mercy men's soccer team battle to a 2-2 draw with Waldorf in double-overtime at the Plaster Athletic Complex. Waldorf grabbed a 1-0 lead, but Diallo responded with an unassisted goal in the 40th minute for a 1-1 tie at intermission. Waldorf went ahead, 2-1, in the second half, but Diallo tallied again with an assist from Sava Dragic in the 79th minute. Neither team scored in overtime and the match ended in a 2-2 tie after 110 minutes of soccer. The outcome left Mount Mercy with a 4-0-2 record for the campaign. Waldorf is 2-5-1. The women's soccer match between Mount Mercy and Waldorf did not take place Saturday. Waldorf has canceled the rest of its season due to injuries and a lack of players.